The news that Chinese President Xi Jinping’s anti-corruption crusade captured another transgressor came on Sunday and, as it often does here, abruptly. While the announcement was pretty much political boilerplate, repeating the usual mantra that no one and nothing was exempt from the discipline of the Chinese Communist Party, regardless of the post they held [全覆盖、零容忍], there had been no clear indications in the preceding days that Tianjin’s mayor and acting party secretary Huang Xingguo [黄兴国] was about to be relieved of command. Huang last made an appearance just 2 days before the announcement, and another at the end of August when he toured parts of Tianjin. But mention of either event has been mainly scrubbed from Chinese news sites, and local political commentators here have discovered that their own attempts to analyze that this latest takedown have been largely blocked. State media following the standard line--and social media being forced to--is Beijing saying, that there’s one narrative; there’s nothing to see here; and everyone needs to move on. But the real takeaway for observers of Chinese politics is that no one seems to have predicted this publicly. In hindsight, it might appear that Huang was never the guy for Xi and his allies. 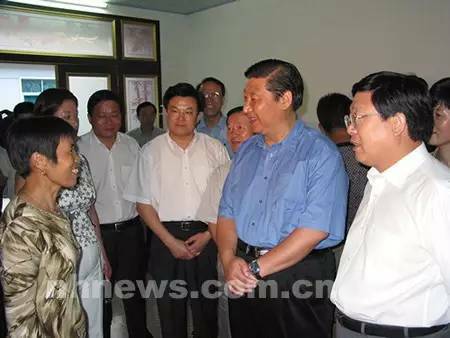 Like Xi, he had worked in Zhejiang province (where he was born after all), and those connections to the current Chinese leader were supposed by some to have helped Huang’s career path. But they certainly didn’t save Huang, just as those purported ties to the Party chairman didn't prevent him from spending a very long time as mayor (9 years) and never advancing beyond acting Party chief of Tianjin. Huang was in charge of Tianjin when the port blast there last August killed nearly 200 people. Huang apologized then and took part in remembrance ceremonies last month. Somehow, Huang lasted more than a year in his post (while anti-graft investigations of the city’s real estate dealings were taking place), until malfeasance of some sort produced his removal. So, being around Xi around a certain time wasn't (and probably isn’t) a guarantee of anything—and maybe Huang knew that. But if Huang was in real trouble—and it looked like major political figures around him certainly were—how’d he manage to last even this long? Why wasn’t he removed a year ago, as part of a purge of the Tianjin apparatus? 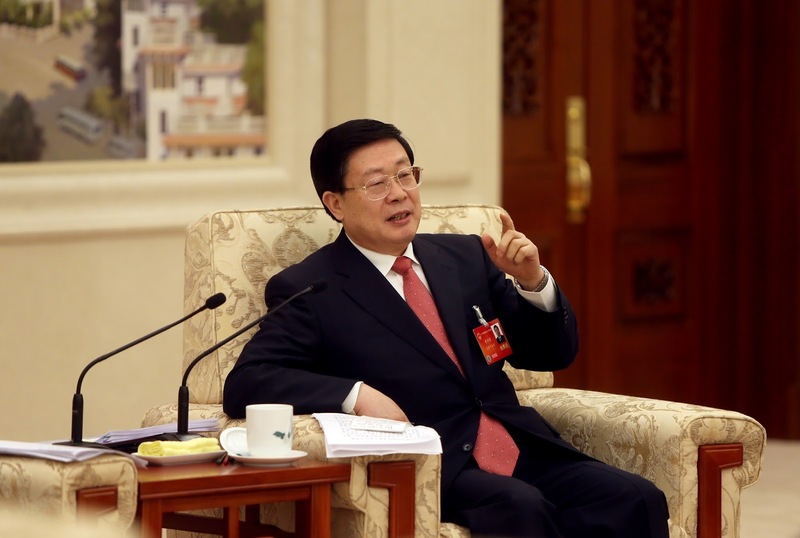 As late as December of last year, Chinese media was extolling Huang's tenure in Tianjin and his connections to Xi. How did his political protection, clearly in place last summer and beyond, evaporate? More importantly, where were the predictions of his demise, the forecasts of his fall? Now, many observers are saying that Huang’s dismissal has implications for next month’s annual meeting of the Central Committee, which is supposed to set the stage for a major shakeup of China’s leadership. Already, analysts are speculating on what the political lineup will look like, now that Huang, who seemed to some to be a striver, has been removed from the upper ranks. Are others better positioned, more vulnerable—or is Xi’s campaign about to be aimed at those who might look to challenge his rule? Does Huang’s takedown strengthen Xi’s allies, or their opponents? There are lots of conjectures flying about in recent days. The problem is that there’s really no reason to take any of this speculation as anything more than---well, speculation. No one yet knows what will happen. Just as predictions about the political fate of Politburo member Li Yuanchao have turned to be wrong (after 3 or more years of rumors), Huang’s removal for “suspected serious violations of discipline” [涉嫌严重违纪的教训] wasn’t anticipated by analysts. So why look for answers from the same sorts of people who failed to forecast this latest event anyway? If it’s anything at all, Huang’s dismissal isn’t a case-study of Xi’s anti-corruption crusade in action but an example of yet another surprise in Chinese politics. Everyone is right after the fact about China, but very few are correct before the facts appear here. It’s probably too much to expect that Huang’s sacking will lead some observers of Chinese politics to act with a little more humility when it comes to appointments, promotions and dismissals of major figures while Xi is running the show. In any event, we’ll probably find out more about Huang’s offences in the weeks to come, though those revelations may well produce as many questions as answers. At least there’s some predictability in that.